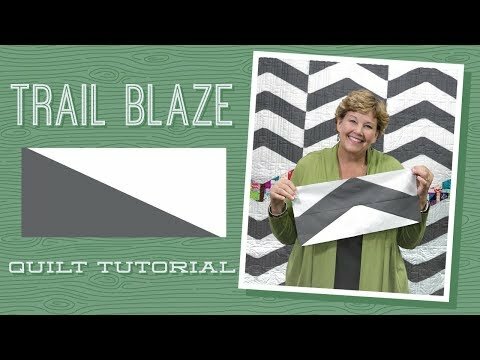 Digital Download - Trail Blaze Quilt Pattern by Missouri Star - Missouri Star Quilt Co. - Missouri Star Quilt Co.
A few blocks made of brightly-colored scraps add punch to the neutral color palette used in our Trail Blaze quilt. The ease with which these blocks are made prove the point that a quilt doesn’t have to be difficult to be stunning and eye-catching! Finished size: 55 1/2" x 60"